Eisenhower’s orignal draft of the speech referred to the military-industrial-congressional complex. Sinema’s campaign has denied those charges and said that while Sinema opposed U.S. intervention in Iraq, she always supported servicemembers. The campaign further noted that two of her brothers have served in the military and that one remains on active duty in the Navy. Back in 2015, Nate Silver looked at the question of the percentage of Americans in military service. While the data is now dated, it remains a relatively stable figure. What Percentage Of Americans Have Served In The Military? [F]ormer members of the armed services vastly outnumber current personnel. The Department of Veterans Affairs (VA) is interested in a similar question — and to answer it, they use their own data as well as numbers from the Department of Defense, the U.S. Census Bureau, the Internal Revenue Service and the Social Security Administration. As of 2014, the VA estimates there were 22 million military veterans in the U.S. population. If you add their figures on veterans to the active personnel numbers mentioned above, 7.3 percent of all living Americans have served in the military at some point in their lives. Arizona does have a number of military bases and military veterans as residents. In a close election, military and veteran votes could provide the margin of victory. But are McSally’s false attack ads against her opponent really about micro-targeting this voter demographic? These false attack ads are a central focus of McSally’s campaign. It appears to be almost a primal scream against anyone who exercised their constitutional rights to oppose the unnecessary and illegal war in Iraq for which McSally is so proud to have served and earned her reputation. She appears bitter and resentful towards anyone who opposed the Iraq war. More than that, it is a full-throated defense of militarism — the very thing that President Eisenhower warned the nation against. If McSally should lose this senate race, she will no doubt return to the military-idustrial-congressional complex, working for a defense contractor (such as Raytheon) or for a defense think tank, and plotting her next run for Congress. She is a creature of the military-idustrial-congressional complex. In the interests of full disclosure, note that the Politifact rating was “Mostly False”. It turns out Rep. Sinema WAS wearing a pink dress that day. 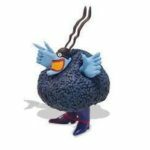 Good post, AZBlueMeanie. And it’s all true. But in the time left before the election, how should the Democrats respond to the smear campaigns against their candidates? GOP campaigns are usually about attacking the challenger’s character and trying to divert attention from the quality of life issues (healthcare, education, decent jobs, etc..) where the GOP has such a dismal record especially in Arizona. And the GOP smear campaigns against Kyrsten Sinema and David Garcia will be especially ugly this year because they are polling close to their GOP opponents. I don’t think the answer for Kyrsten Sinema is a continuation of her safe ads talking about pre-existing conditions or whatever. There’s a lot to work with. Democrats need to figure out how to do this without descending into the mud fight that McSally is inviting.